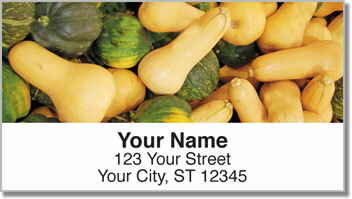 Freshen up your outgoing mail with photographs of fresh veggies from a Farmer's Market. Those open-air markets are always fantastic fun. You meet new friends, try new things and support people who live and work in your community. Plus, you always go home with loads of healthy food for your family. Whether you've got some succulent squash, crunchy carrots or hearty potatoes - food from the Farmers' Market always seems to taste a little bit better. 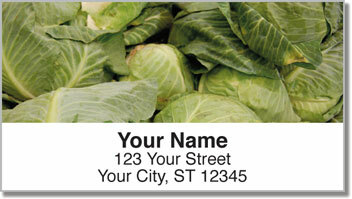 What you'll really love about these labels is how they make an everyday chore a little bit easier. 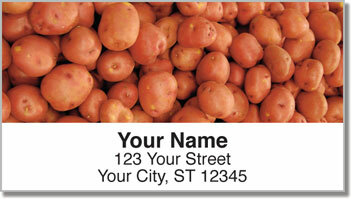 Instead of writing out your return address by hand - all you have to do is peel and place. That's because of the convenient, self-adhesive backing. 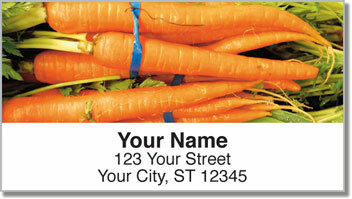 Get you very own Farmers' Market Address Labels now! You can also find matching top-tear and side-tear checks.